In the heart of the Great Lakes region, Ohio makes a strong case for offering everything to give visitors a taste of authentic America. With the Appalachian Mountains in the south, Lake Erie in the north, numerous state parks - fantastic in the fall - and cities offering a swathe of cultural options, no-one could argue they will be bored. So, decide whether you want to be in the big outdoors or the heart of the city and then check our choice of the best places to stay in Ohio. Cleveland, on Lake Erie, offers a bit of both. Site of the Cleveland Museum of Art, with its renowned collection of masterpieces, the Rock and Roll Hall of Fame and Museum - check out Jimi Hendrix’s Stratocaster and Keith Moon’s platform shoes - it also has the Great Lakes Science Center that includes the 1973 Apollo capsule. Lake Erie offers beaches, fishing and bird-watching, the latter particularly good for the spring migration, plus, if you dare, the Cedar Point Amusement Park, one of the world's best amusement parks, with 16 adrenaline-pumping roller-coasters. Cincinnati is something of a hip city with the American Sign Museum, the Zaha Hadid-designed Contemporary Arts Center and a series of indie-band festivals and beer festivals, including a German Oktoberfest. For the best view of the city, head up to the observation deck on Carew Tower, the world’s tallest tower from before the Second World War. Gaze across the Ohio River into Kentucky or look down onto Cincinnati's architecture. If you love the outdoors, you won’t be disappointed in Ohio. There are over 70 State Parks and 130 State Nature Preserves, some 50 rivers, plus creeks and lakes which, together, offer hiking, mountain-biking, kayaking, rafting and fishing, amongst other activities. The countryside ranges from the gentler terrain in the North West to the more challenging Appalachian Foothills in the South East. Two popular areas are the Cuyahoga Valley National Park and the Hocking Hills State Park. Summer and the fall are popular months to visit Ohio and some of the best places to stay in Ohio can get booked up. Don’t leave it too late! 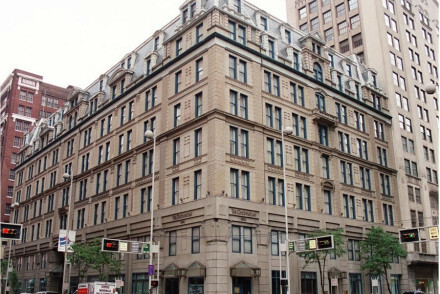 The Victorian Cincinnatian Hotel, built in lavish French Second Empire style, was a landmark when it opened in Cincinnati in 1882, and remains so today. With a grand staircase, sleek rooms with huge bathtubs, and an opulent restaurant, this is a return to grand hotel living. 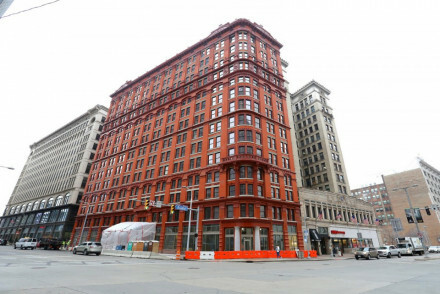 The Schofield in downtown Cleveland offers a historic exterior, but bang up to date interiors. Plus there's a great restaurant offering American classics with a French twist. With a modern art gallery and stylishly furnished rooms with a retro feel and cool neutral colours, the 21c Museum Hotel is a very grown-up retreat. Ineffably elegant, it also offers a gym and spa plus is walking distance to Cincinnati’s downtown cultural hot-spots. For more choices, browse our list of the best places to stay in Ohio, or contact a friendly guru for advice. A historic building renovated tastefully, decorated with natural tones offers comfortable accommodation. Interesting art-works on display, some rooms have private hot tubs and views of the city. In-house restaurant and bar, a chic and lively hotel in the heart of the city. City Style - Victorian-era red brick facade on the outside, contemporary decor and modern facilities on the inside. 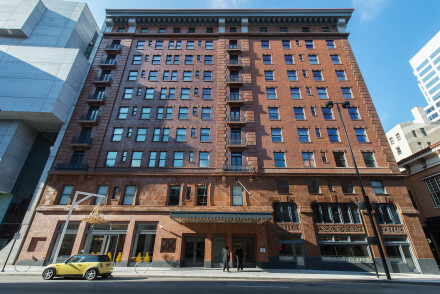 The Cincinnatian Hotel is a stalwart member of Ohio's third city's hotel heritage. Lovingly decorated rooms and suites in neutral tones with rich crimson accents, featuring oversized bathtubs and comfortable beds. On-site restaurant and bar serve sumptuous fare, afternoon tea and cocktails. Gym. Sights nearby - Only 5 minutes' drive from the Paul Brown Stadium, home of the Cincinnati Bengals. Chic, sleek accommodations with an onsite modern art gallery. Laid-back elegance defines the interiors, where splashes of colour cut through a neutral palette to create a fresh ambiance, and with carefully selected furniture to complete the look. Gym, spa. Sustainable fare served in the restaurant. Sights nearby - The Aronoff Center for the Arts is located just a short walk away, and the Taft Museum of Art is less than 2km from the hotel. Restrictions on children - No children can be accomodated at the hotel.